Just. Completed a wall hanging using the Shenendoah pattern. I used a lovely Monet type flower print. Sorry, can’t Post picture. Anyone do this pattern! How do I quilt it? Any suggestions on designs? 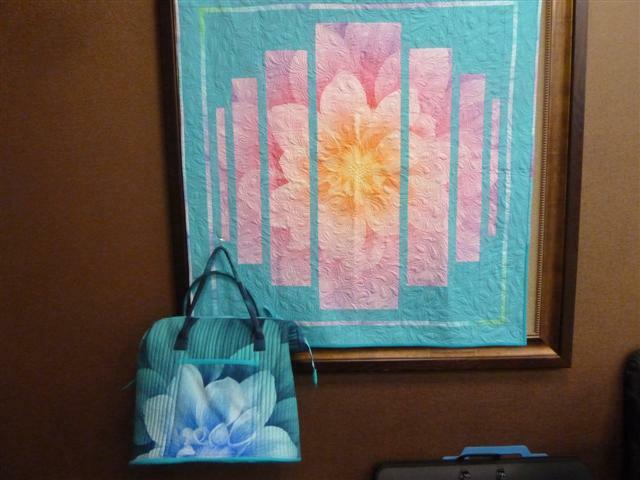 Here is a similar idea where a digital fabric panel has been fragmented and machine quilted. 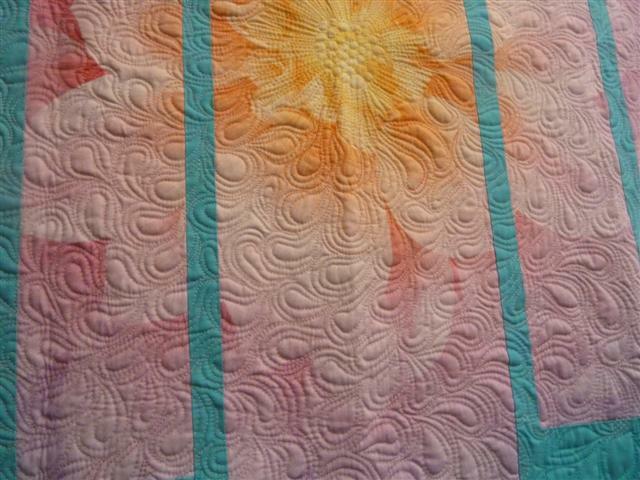 This was a sample at the Quilted Bear quilt retreat recently. Maybe it might give you some ideas for your pattern. hmmm... I've purchased that dahlia print in a number of different colors. I hadn't thought about using Shenandoah on it, however. Good idea. i'd probably pick out the flower motifs and repeat in the stripes that are flower, SID around the inner, thin border, and then do a denser fill pattern in the solid.